It is a very good movie well worth seeing. But, prepare yourself. This true story will affect you deeply. On the 11th Anniversary of the unprovoked attack on the United States’ World Trade Center and Pentagon, hostile forces attacked the US diplomatic center and CIA “Annex” compound. A small band of 6 CIA contractors made up of former Navy SeALS, Marines and Army Rangers take the initiative and do all they can to defend the Americans who are in the crosshairs of the terrorists. These 6 faced overwhelming odds yet managed to fend off the waves of attacks. A historical fact that left me mystified at the outset of the story is that the USA has over 200 diplomatic outposts of one nature or another around the world. Of those there are around a dozen that are classified as severely hostile and dangerous. The two most dangerous are both in Libya: Tripoli and Benghazi. Every other country had pulled its diplomatic teams out of Benghazi. The USA was the only country with a remaining contingency. It was a city torn by military factions and violent extremists yet its two sites were woefully under-protected. When the US Ambassador to Libya came to town, he had a protective team of a mere two US combatants. The compound was primarily protected by local police and native personnel who ran away as soon as the attacks began. No one trusted these local hirelings so there was no surprise when they betrayed their clients and ran for their lives. As the story developed, the dangers of a planned attack showed heroism in action. No help was forthcoming but the few did not hesitate to put their lives in harms way to protect those who were in danger. Even in the face of administrative fear and hesitation, the 6 fought off wave after wave of terrorist combatants. Respect for the courage of the few Americans skyrocketed. Sadness sank into fearful desperation when the US government failed to send in the resources necessary to render necessary aid to the brave 6. Those two words make up my summary of how this story affected me: respect and sadness. There is never a repeat or warm up or left-over sunrise. Like snowflakes there are never any two that are identical. Instead, each one is a unique combination, a mysterious blend that spreads the picture around and makes each one tailor-made for that particular day. This time it was not only the colors that were sensational, it was also the perimeter features that made the sunrise pop out of the horizon. It was not only about the colors but it was also about the clouds in the sky. Do you see the contrast? God gives the sky texture. The clouds are close by but the sunrise is a long way off. The light of the morning is overtaking the clouds that ruled the night. The world was once shrouded in an uninviting frightening stillness of aloneness, abandonment and anxiety. But, it is quickly dissipated. It is diluted to the point where we wonder how we ever were fearful or hopeless. Life is just like this. Someone may have hurt you deeply. Your sorrow was unrelenting and excruciating. Inside you were about ready to give up. Yet, something gnawing in your soul urges you to press on. A light glimmered in your spirit reminding you that God was still there. When people failed you, God was powerfully present and He chased away the darkness. Once the light comes you feel rejuvenated. Courage was restored. Those who had done their worst were no longer capable of doing any more. It is time. Get up. Dust yourself off. Wipe away your tears. Leave those who have done evil behind. God is not finished with you yet. The truth has kept you buoyed up and now that the night has expired you are still standing. Yes, there will be other tough moments in life. God has told us that trials will come. They are designed for correction or edification. Maybe there will be a little of each. Whichever the case God does not hurt for pain’s sake. He is ready to lift you up and carry you along. God is about blessing not hurt. 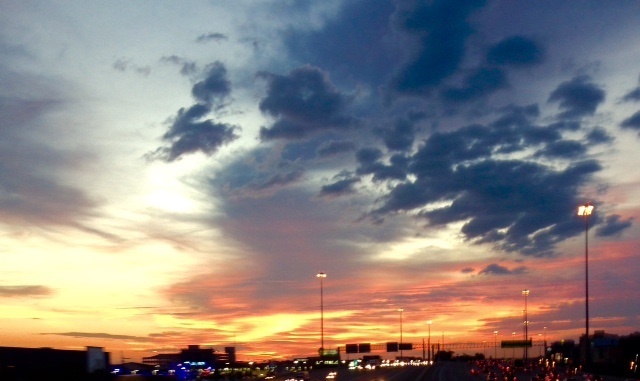 When my day starts and a gorgeous sunrise greets my commute into the office, I receive it a testimony of God’s greatness personalized just for me. You can do the same. Every sunrise is new, different and big enough for all who will accept it. it’s the year of the goat! February 19 is the start of this year’s Chinese New Year. Of course everything really unleashes on New Year’s Eve, Wednesday February 18. The firecrackers and lion dances will signal the beginning of the biggest party of the year. This is the most important celebration for Chinese families in China and in countries dispersed all around the world. For many in countries where it is recognized, workers enjoy 8 days off of work. In the western calendar the dates are February 19 to March 5. Officially work stops for the first three days of the Spring Festival. However, practice has evolved into including New Year’s Eve and the following three days as well. Naturally, the following or closest weekends are included. Central to the festivities is a family time with relatives and the closest of friends. This is the holiday when families convene for a feast and reunion. Multi-generational gatherings are the standard. It is the year of the goat. Do not laugh. 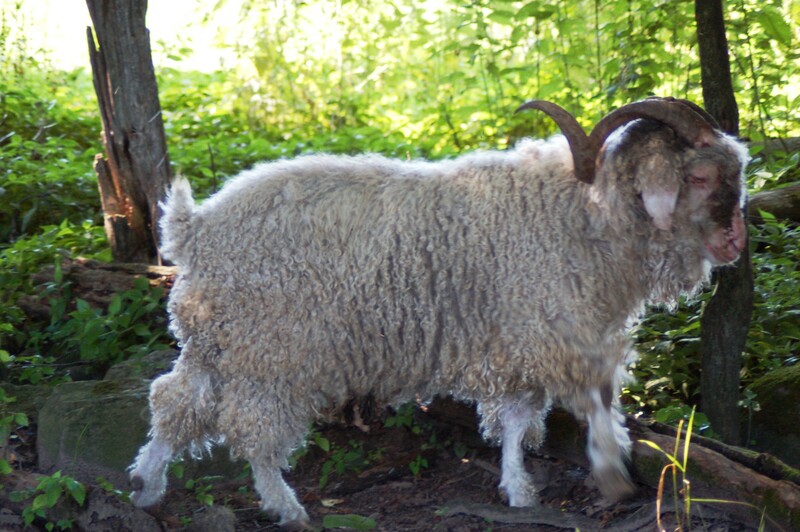 The goat is highly regarded among the Chinese, especially ancient Chinese. This 8th animal from the Chinese Zodiac embodies many wonderful qualities. Those who are born in the year of the goat are calm, gentle, creative, thoughtful, amicable, persevering, frank and honest. It is suggested that being born in the year of the goat makes someone most suitable to become pediatrician, actor, teacher, interior designer, musicians and editors. It is also speculated that these persons are tough on the inside, quiet yet powerful in performance. While they enjoy quality in the things that they buy they are by no means snobbish or ego-centric. In fact they are often withdrawn, lost deep in thought. While there are over 4,000 years behind this tradition, the pathway to real life solutions is not found in country or position. Earthly wealth is not the key and certainly a life warding off evil spirits leaves a lot to be desired for any kind of personally satisfaction. Yet, the attempts over the 4,000 years of this celebration reveal a telltale sign. Everyone wants hope. But, this appetite is not found in superstition or good luck charms. Instead, real hope can be found in the Lord Jesus Christ. He is real while so much of the Chinese New Year Celebration is built on human imagination. Jesus Christ died for our sins and rose again so that He could show His victory over death. Put your faith in Him. Accept Him as your Savior and you will be blessed. That will be a real reason to celebrate for eternity. My life has been embroiled with leadership roles for most of my adult life. The challenge to unite people, square off with great threats, achieve great gains for the organization and to resolve to press against the ever-present vehemently vicious critic are all a test of the metal that a leader is made. Reading and watching great leaders in action inspires me to keep leading with determination. One of the great leaders in my life time has a Presidential Library in Simi Valley, California. Visiting this museum and library of this leader was on my life list. I was able to check it off with great satisfaction. There is very little about “leadership presence” that is external. Instead, it is what exists in the soul of the man or woman who drives their choices, directs their initiatives and most of all manages the values the define their leadership commitments. 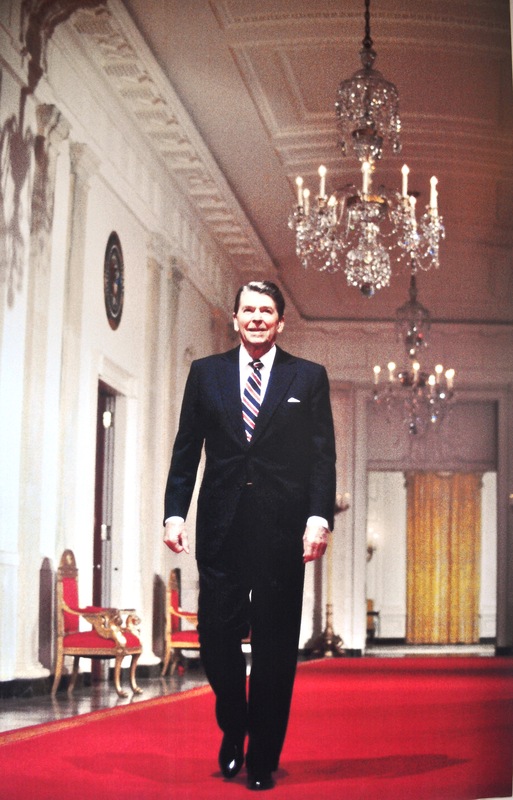 Reagan’s beliefs marked his life and leadership. When a leader faces pressures and attacks, he or she must be able to draw from their own convictions to make choices and decisions to protect and advance the best interests of the organization that they lead. That is what leadership is. Anticipation and reaction based upon a consistent set of values that others can follow and embrace. The influence of this President was also balanced with a whimsical ability to engage the lives of international leaders from around the globe. His control of power was never carelessly dismissed but blended with discernment, resolve and vision. He thought the best of this nation and devoted himself to lead it to become better and more positively influential in the world. If blessing is accompanied with responsibility, then this great leader acted well in light of the extraordinary blessings given to the nation by Almighty God. He could win the respect and cooperation of the opposing party, sooth the angry critic or stand stalwart against the belligerent opponent. President Ronald Reagan was a uniquely effective leader and one of the most remarkably gifted Presidents in our nation’s history. 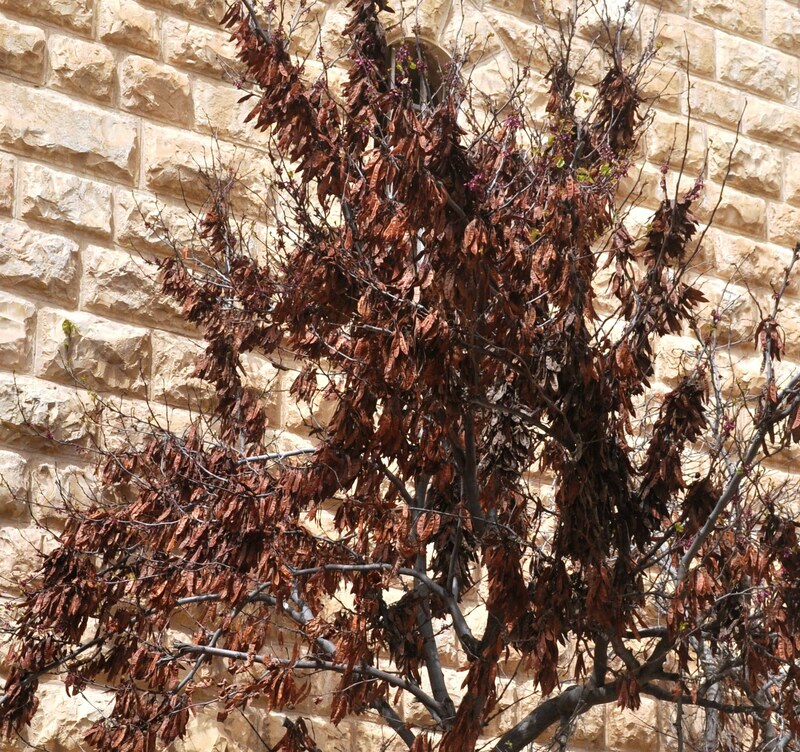 There is a tree in Israel that everyone knows. It has a name that stops conversations, bows heads, infuriates the righteous and saddens the majority. Everyone knows the Judas tree. Of all who walked with Jesus and all of us who are following Him today know the name Judas. It stirs feelings of disdain in all humans. Even those who are outside of the faith know the dastardly deed of the most infamous of traitors. After two thousand years of history no one has surpassed Judas in recognition of the worst of betrayers. When trust and love are given in bountiful doses, he turns on his benefactor and betrays Him for 30 pieces of silver. No one believes that any amount of anything justifies betrayal, but mere monetary gain makes a despicable deed even more repulsive. Life is difficult for most of us. Each one of us has our own story of excruciating pain that came from a betrayal. It is the kind of life experience that takes a chunk out of our hearts. Warm tears soak our pillow at night. Nightmares of imagining the hideous gossip, slander and conspiracy efforts of these wicked people tear into our minds. It is impossible to escape the surprise moments when this pain resurfaces at the oddest moments. Yet, there is relief. The haunting of these who hurt us can be made impotent. No, those people never change. Instead, we can change towards them. Jesus showed us the way. He forgave Judas and all those who turned on Him. The ignominious death of our Savior is a portrait of how ugly sin is. Judas’ betrayal triggered this awful event. How could someone turn against pure love? Yet, for every betrayal in all of our collective lives we have felt a small dose of that personification of evil. The hurt is unimaginable. Discovery of this kind of vicious human wickedness is shocking. Trying to describe the abandonment, the astonishment or the bizarre nature is for want of words. We see it. Our mouth turns up in frustration. Our head shakes in disgust. Betrayal when only trust and love have been given is the worst of sins. Have you trusted someone who went behind your back and conspired to betray you? Did you get blindsided when a trap was sprung by those that you thought were in your corner? See this tree? God understands. He has felt that ugliness and is ready to bring you the salve of His grace and mercy. When we only have partial information, it can easily fester into something very ugly. Someone did something that annoyed us. Or someone said something that hit us wrong. Then again, someone did NOT say something that gnaws at us. We do not act wisely when we get sideways with someone. Our annoyance and penchant to judge others takes over spiritual discernment or grace. Something that we fear may also circumvent our reasonableness and thrust us into the wicked morass of judging others. There is glue that can keep God’s people from blowing apart. Israel faced a potentially devastating misunderstanding among the tribes. It came at the heels of great success. That is when biases and fears can cause something very good to come unhinged. As the 2 and ½ tribes were ready to leave their brothers and return to their land, together all of Israel rehearsed what was truly important. God had fulfilled all of His promises. He has a perfect track record of keeping His promises to the nation. His character has been proven flawless. When God is elevated and honored, His people have hope. They have what is necessary to keep them together. Hope will protect them from separating in the future due to misunderstandings. Facts are more important than biases. 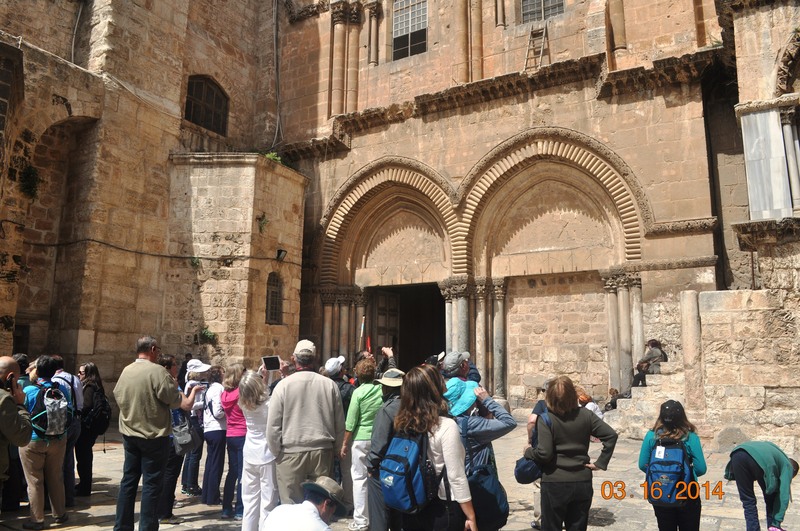 Well into our tour of the Holy Land, the temptation is to say, “Once you have seen some ancient ruins, you have seen enough ancient ruins.” never seemed to bother very many at all. Here in the Land what occurred at these sites was far more important than the site itself. History was the feature of these gathering points. The events of yesteryear gave great meaning to our lives today. 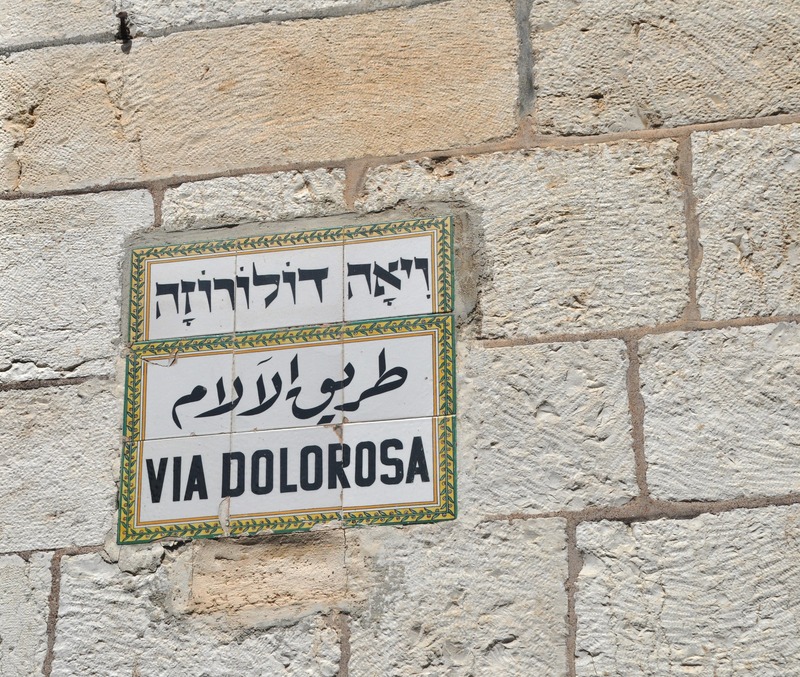 Few sites were as meaningful as the walk through the Via Dolorosa. Here the possibility of following the last steps of Christ when He was brought to His place of crucifixion was sobering. We looked on the old stone road that still had the old Roman games etched in the rock. Perhaps the very soldiers who escorted Jesus from His flogging to the place of the skull gambled on this very site. Today the stones shine like polished furniture from the millions of shoes that have walked over them. But, in His day, Jesus stumbled on these rocks, dripped His sweat and blood from His brutal beating. While we trudged among fast-moving shop keepers selling their wares, we thought deeply as the images of our suffering Savior filled our minds. 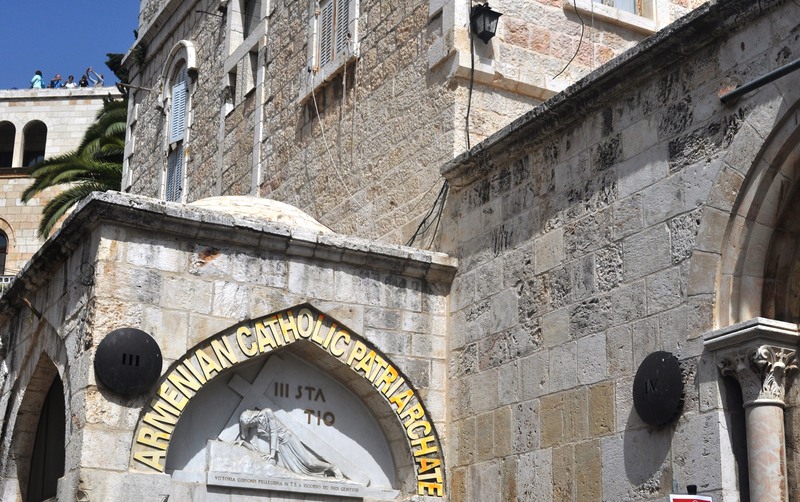 There are traditional stops along the way that commemorate some Biblical events and some extra Biblical stories. Sorting out the real from the legends is not as important as concentrating on the real events that all agree are part of the events of the most important historic event in human history. This pathway was the route that made it all happen. The sellers of trinkets were trying to make money off of the scores of pilgrims. To these merchants, it was common to come here each day and make a living. But, for us pilgrims it was a sacred journey. Our fine pilgrims were gracious and polite. There was no ugly American among our group. They kept the balance, worshiped quietly and took in the tourist options as well. Our small group of 40 turned the corner of a narrow street and a courtyard broadened out to welcome us. It was a very holy site. Inside this door was the traditional site where the cross was placed on a rock. Below is the site of the burial of Jesus. Pilgrims from all around the world came here and crowded in to climax their journey. It was loud. This was a very crowded place. Seekers and worshipers alike milled about. Truth and legend were separate yet together. Sincere lives were wanting a moment for their souls. 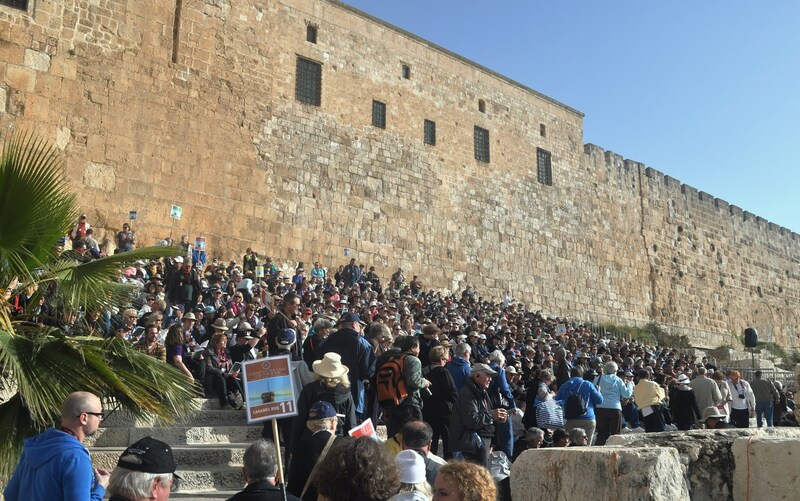 There is a great expanse of ancient steps just on the outer wall of Jerusalem known as the southern steps. Here in the days of our Lord, Jesus would likely have walked here frequently, teaching His disciples as He journeyed between Jerusalem and Bethel. Archaeologists have uncovered a sizable section of these historic layers of ascending and descending stones. Our troupe of pilgrims gathered here on a Sunday morning. 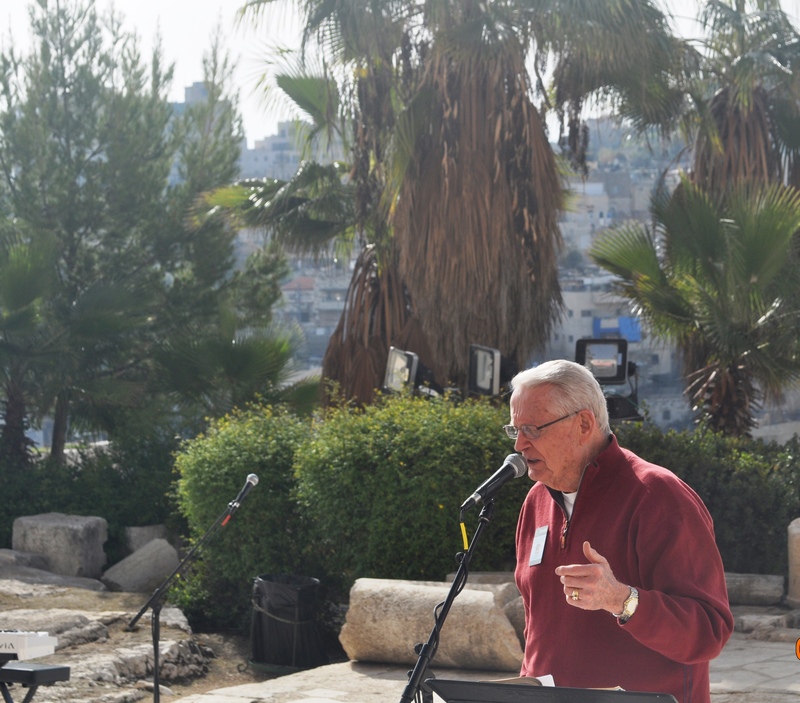 It was the site for our worship service in the Old City. We were all looking forward to a time of worship. 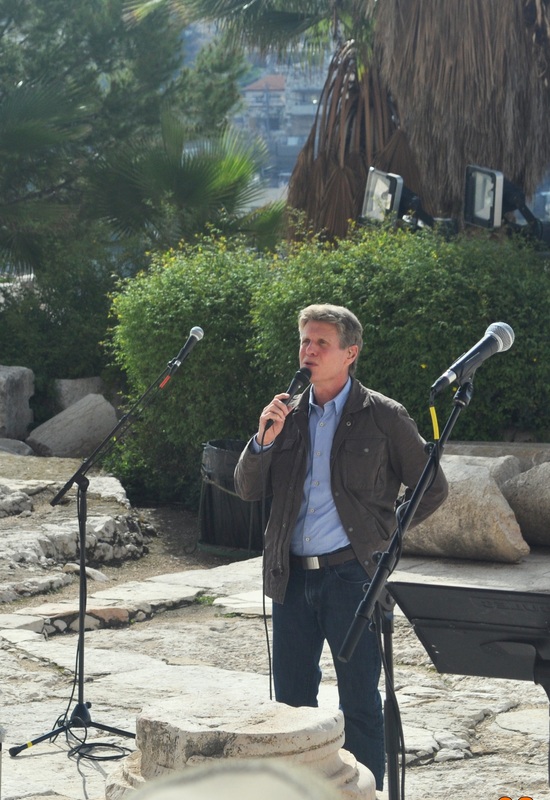 The guide took to the microphone and told us how significant this location was to all who follow the Savior. His arm swung as he spoke about the likely movements of our Lord. We could see Him in our minds eye climbing these very steps as He talked with His followers. Then, Steve Green came up to the microphone and sang a song that stirred our souls. We were 800 strong yet we were lifted high on the platform of worship. Clearly the audience of One was receiving our praise that morning. Next, Chuck Swindoll opened the Word and preached a powerful sermon. 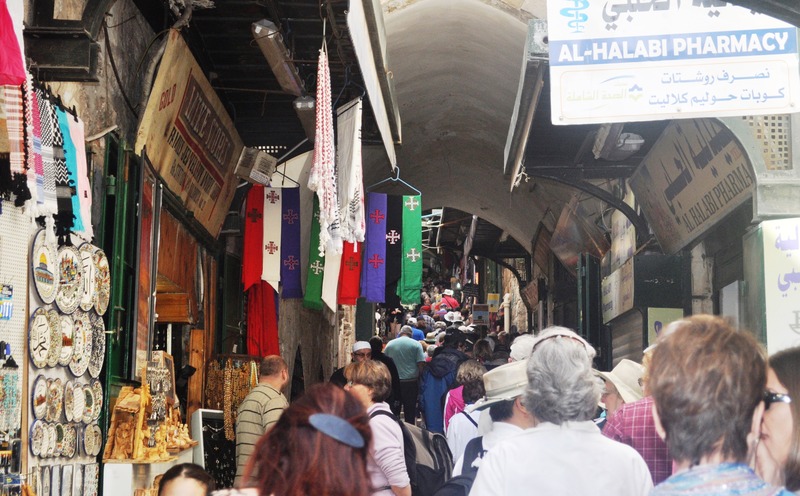 He tracked the footsteps of Jesus and uncovered the significance of the city for Jesus’ final days. 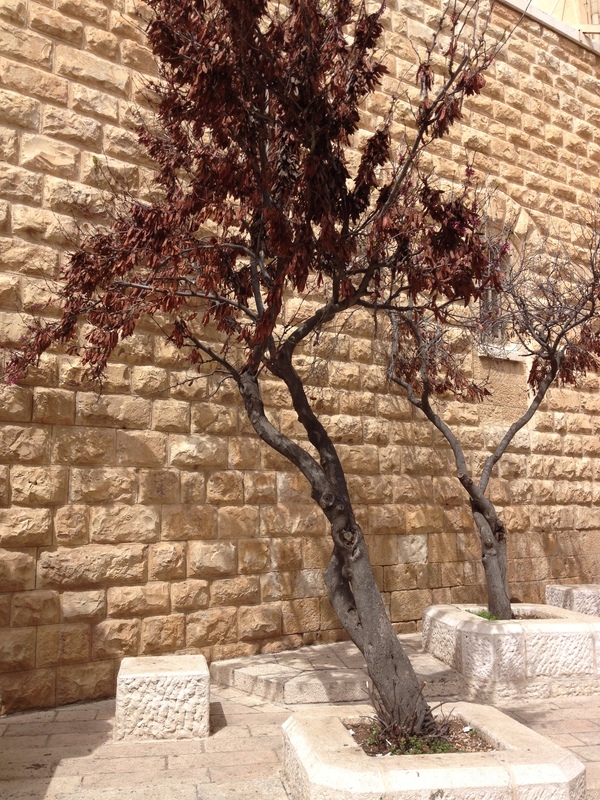 2000 years ago this was the very site where people listened and saw what Jesus offered. Once it came time to decide, Israel’s leaders chose not to believe Jesus was who He claimed to be. That left them with the horrible conclusion that Jesus was a blasphemer and must be punished by death. Is man in his sin so wicked as to take the Son of God and kill Him? All of us with our sin are culpable of this heinous deed. Jesus died because we needed a perfect sacrifice to be a substitute for our redemption. This perfect Son of God who walked on these steps where we sat did that for all the world. The sun shone down hot on our travelling bodies. It was warm. The beads of sweat dripped down my shirt. I touched the cold stone that was my pew on that Sunday. Maybe Jesus stepped on this very rock so many years ago. What amazing love He gave to all of us. Never again would our tour group gather for another worship service like this. At least on this earth, we would not. Maybe again in eternity we will repeat this with countless saints and Jesus leading us in our praise. Are you living a life that is steeped in sin? Have you chosen to leave God out of your life? Perhaps you have decided that your life should pursue riches, fame or power. Some times people think that they will try something sinful and when nothing bad happens to them, they repeat their act and soon practice it regularly. They like the temporary thrill or satisfaction. They forget that God’s apparent lack of judgment is not His detachment but His patience to give them a chance to repent. Or perhaps you are living a life that is on the verge of a major act of faith. But, it is terrifying. Facing difficult people or hostile circumstances is challenging. You do not want to be afraid but you are. Obedience is at the outset frightening. Yet, the alternative is much worse. Trying to hide from God never ends up happily for anyone at any time in history. If you are living in sin, then, stop. God is just. He will not suffer the sinful choices of people forever. If God is leading you to acts of courageous faith, step out and trust Him. There is no safer place to be than right in the middle of whatever God has for you to do. Trust Him; He has never failed anyone who has put his or her faith in Him. Thanks for joining me on this journey through the Scriptures. The timing of our entrance to the Holy City was perfect. We had been traveling throughout the Land of Israel for several days. Our spirits were drinking in the spectacular sites and stories of old. We were now ready. Our buses made the steep climb up from the Jordan Valley, near Jericho. The schedules in our hands announced that today we would arrive in Jerusalem. Jet lag was under control and cameras were poised. The driver and bus shepherds were synchronized. Freeway signs pointed to the tunnel entrance to Jerusalem. The meter markers alerted us to be ready. At the appointed time the tour guide turned on the sound system. His eyes met the bus shepherds. The smile said it all. He pressed play. The song began. It was the masterpiece, The Holy City. The bus emerged from the tunnel. Before the eyes of all on our coach the city of Jerusalem unfolded. Amazing lyrics lifted our hearts to the special place that this city has had in history, in our faith, in the prophetic Word of God and in the lives of people who traveled from all over the world to be here on this tour. There was no talking on the bus. The words of this majestic song filled every crevice of the bus. Countenances told different stories. Some were just happy to finally make this once in a lifetime pilgrimage. Others were holding back tears as the meaning of this place bombarded their minds. Still others prayed quietly for the peace of Jerusalem. I felt a deep honor to be their bus professor on this trip. Through the past few days and into the next I would be privileged to begin each day with a devotional talk from the Word. Now, I could focus on this city and the amazing things that happened with the lessons for all time that Jesus, our Lord and Savior, taught then and now. To grasp the expanse of what we would cover, the buses converged on the Israel Museum. 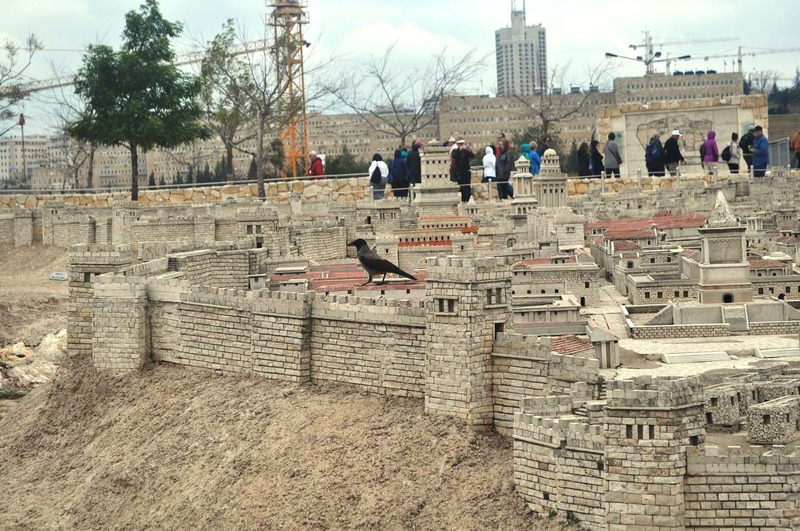 On our first day in the City we would tour the model of ancient Jerusalem during the time of Christ. 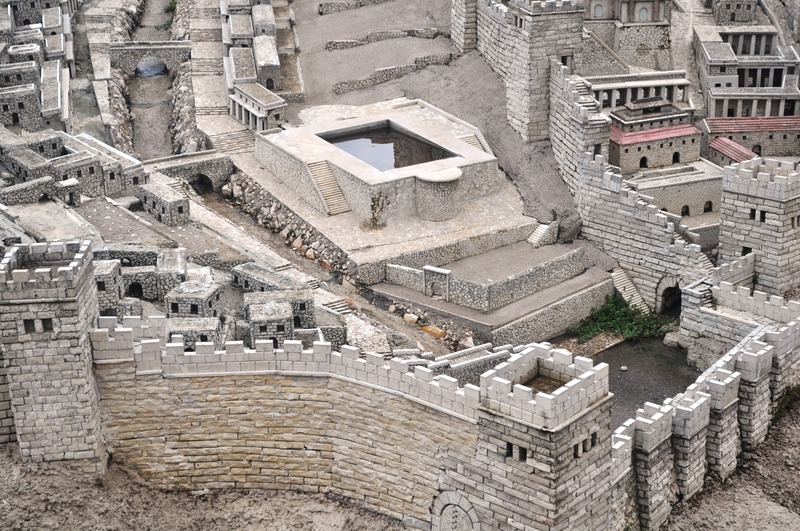 Under the beautiful skies of Israel this scale model shows the surrounding walls of the city. 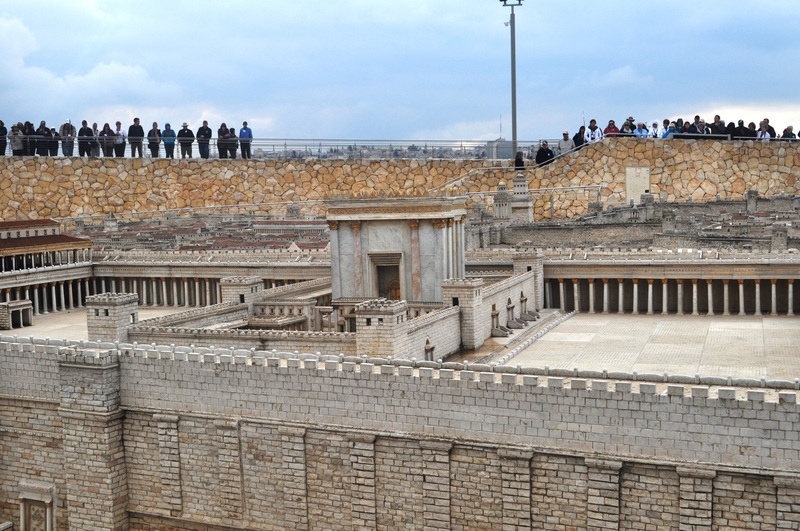 Included is Herod’s Temple. Everything in the model is 1:50 scale. It covers over 21,000 square feet. Imagining the movements of Jesus and His disciples is a marvelous experience. The topography of the area helps seal in our mind the events of those days. This spectacular city is now becoming very familiar.